Apple has enjoyed a 33% leap in quarterly profits to $13.6bn (£8.9bn) thanks to strong iPhone sales, particularly in China.Record results for the first three months of the year also showed revenue reached $58bn (£38bn), up from $45.6bn in the same period the year before. The figures, which surpassed analysts’ expectations, mark the world’s most valuable company’s best ever first-quarter performance. The California tech giant sold more than 61 million phones in the period, which delivered two thirds of its revenue and marked a 40% increase on the first three months of 2014. The numbers were – as expected – down from the last three months of 2014, when a record 74 million of the new iPhone 6, 6 Plus and older models were sold. Tim Cook, Apple’s chief executive, said: “We are thrilled by the continued strength of iPhone, Mac and the App Store, which drove our best March quarter results ever. Other products have been overshadowed by the iPhone’s success in the first quarter of the year, with revenue from Mac computers up just 2% and iPad revenue down 29%. No sales figures have been released for the new Apple Watch, and Mr Cook said it was “hard to gauge” demand when it is not yet on widespread sale in stores. The business is performing strongly in China, with iPhone sales up 72% there and the number of Apple stores expected to double to 40 by the middle of 2016. 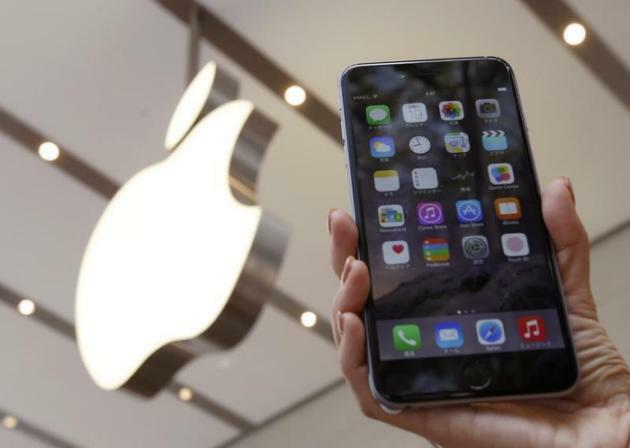 Apple has been fighting Samsung for the number one spot in the global smartphone market. The South Korean firm will report its latest results this week. Colin Gillis, an analyst at BGC Partners in New York, told the AP news agency that Apple was “extremely dependent” on the iPhone and that “the question is what could replace the iPhone” if sales slow down. Apple’s share price, which has gained more than 50% in the past year, rose 2% after-hours following the release of the results. Shareholders were also pleased by confirmation that more profits were to be returned to them. It raised its quarterly dividend by 11% and increased its stock buyback programme from $130bn last year to $200bn by 2017.